The Fifth Circuit has recently held that its courts have jurisdiction to hear a lawsuit seeking to enjoin Medicare from recouping funds until after a hearing because (1) the provider’s claim is collateral to the underlying recoupment and (2) the recoupment may result in the provider’s bankruptcy and in a disruption to its patients. In 2016, a Zone Program Integrity Contractor (ZPIC) concluded that Medicare had overpaid Family Rehab (a home health provider) nearly $7.9 million. 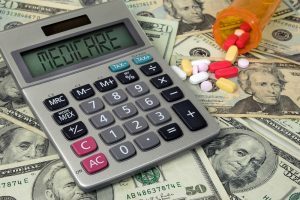 Family Rehab asked for a redetermination from its Medicare Administrative Contractor (MAC); the MAC affirmed the ZPIC’s conclusion. The provider then asked a Qualified Independent Contractor (QIC) to reconsider the decision. The QIC slightly reduced the demand to over $7.6 million. The MAC then noticed its intention to begin recouping the overpayment. (The MAC can begin recouping overpayments after the QIC issues its decision.) Family Rehab then requested an ALJ hearing. Rob is a member in the Health Law Practice Group. He primarily represents health care clients in Medicare, Medicaid, and third-party payor reimbursement disputes. Rob also counsels health care clients on regulatory and compliance issues. He was selected as a Super Lawyers Rising Star (Health Care) for 2016-2018. Welcome and thank you for checking out Cozen O’Connor’s Health Law Informer blog. Health Law Informer will provide updated news and analysis concerning the world of health law. Check back often for new posts and feel free to send us your feedback. “A Slow Game of Jenga:” Has a Federal Judge Toppled the Affordable Care Act? This blog is made available by the lawyer or law firm publisher for educational purposes only as well as to give you general information and a general understanding of the law, not to provide legal advice. By using this blog you understand that there is no attorney client relationship between you and the blog publisher. The blog should not be used as a substitute for competent legal advice from a licensed professional attorney in your state. Cozen O'Connor © 2019 Health Law Informer All Rights Reserved.